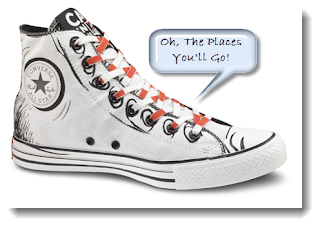 Sanguine et Purpure: For the SigEp who has everything... Dr. Suess "Chucks"
For the SigEp who has everything... Dr. Suess "Chucks"
Now THIS is a fun find - thanks to Scott Byer for letting us know. Dr. Suess (aka Ted Geisel) was a SigEp at Dartmouth who went on to become an acclaimed author and illustrator of books for children (though adults loved them too). 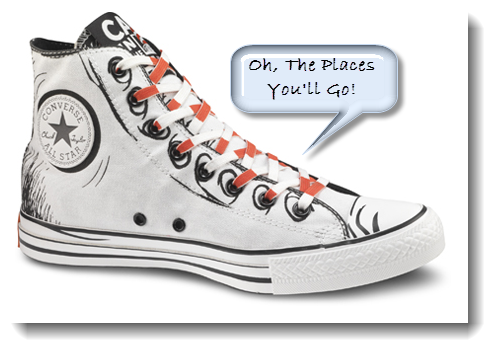 Now Converse has released a line of their iconic "Chuck Taylor" shoes with designs inspired by the good Doctor himself. They are just the thing to wear with "the hat" when you go to read to schoolkids on the Doc's birthday, or make a statement at Homecoming with coordinated footwear. My order is on its way.